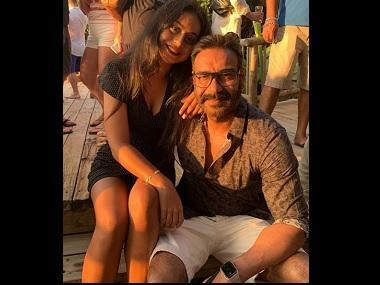 Saif Ali Khan and Ajay Devgn will reportedly begin shooting for the climatic battle sequence in Tanhaji: The Unsung Warrior from today, 8 April. 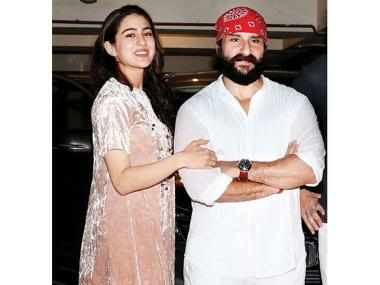 According to Mid-Day, Saif undertook rigourous training in sword-fighting for seven weeks before the shoot. The climax, which will depict the epic Battle of Sinhagad, has been choreographed by noted action director Ramazan Bulut. Bulut's body of work consists of Inferno (2015) and Rush (2012). The report also states that Saif was coached by Bulut himself. He agreed to film the sequence only after he was satisfied with Saif's preparations. The same report states that grand sets are being built in a Mumbai suburban studio for the combat scene. In a particular moment, Saif, who plays Udaybhan Rathod —the Rajput officer serving in Mughal emperor Aurangzeb's army, even renders Tanhaji (portrayed by Ajay) by knocking the shield from his hand. Such elements have also been added to the grand sequence, which is almost 15 minutes long. Ajay’s Tanhaji will bring the story of Maratha commander Tanaji Malusare, who was celebrated for his role in the Battle of Sinhagad in 1670 AD. Directed by Om Raut, the film will see Kajol reunite with Ajay on screen almost after a decade, where she will essay the role of Tanaji's wife. The film will release on 10 Jan, 2020, clashing with Deepika Padukone and Meghna Gulzar's Chhapaak.